Google has just revealed its new game streaming service Stadia, which the company suggests will be able to allow gamers to load and play titles within seconds – directly streamed to Google Chrome, with no need for patching, installs, or other downloads. Stadia’s technology was shown off using Assassin’s Creed Odyssey, which was an apt choice – because the company also revealed that Assassin’s Creed series creator Jade Raymond is heading up its new first-party games studio. 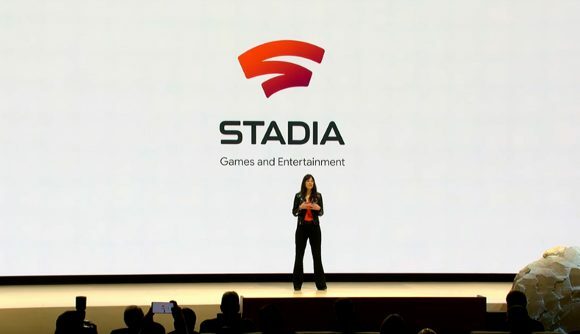 Producer and designer Jade Raymond appeared on stage during Google’s panel to announce that she was the new head of Stadia Games and Entertainment, which comprises several first-party games studios for Google – which she says aim to “reimagine the new generation of games” for Stadia. Raymond also says that her team at Stadia Games will additionally be working with external developers, in order to make all the “cutting-edge” Google tech available to any teams looking partner with Google to bring games to Stadia – “big or small”. She says that her studio’s goal is to “make Stadia a driving force of games and entertainment” and to “take games to the next level”. Unfortunately, none of the games her team are working on were shown off, but more details are promised for this summer.